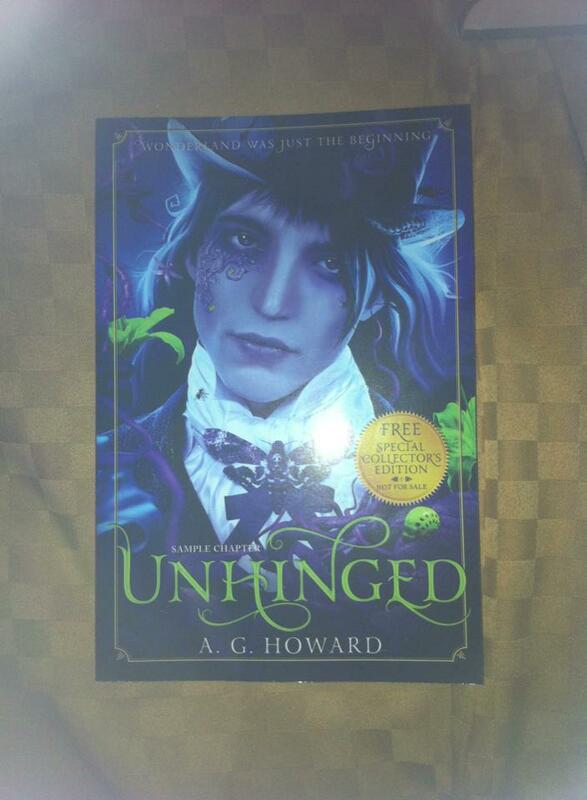 Today I am super excited to bring to you my short review of the Unhinged (Splintered #2) chapter sampler by A.G. Howard. I have to thank Abrams twice. First for having these beautiful flip ARCs at BEA so I could scoop one up and read about Alyssa and Morpheus immediately! And second for approving me on Net Galley to review it! Needless to say I cannot wait to read this book. I'm chomping at the bit for it to come out and I hate that the wait seems so long! So, are you ready for my reivew? I have to thank Net Galley and Abrams for approving me to read this chapter sampler! As soon as I heard it was available, I ran over to the site to request it. AND I was lucky enough to have them say yes! AND I am lucky enough to have one of those really cool flip ARC thingies that they gave out at BEA. So it's like a double whammy of funness! Oh what can I say about this chapter. Well, first I have to say, just one??? UGH! It's such a tease! I loved it. I love getting this sneak peak into Morpheus and Alyssa's relationship. I love to watch them interact. And this just made me want to read this book even more. I need it yesterday! I love the world Howard creates. Her descriptions are so spot on I really feel like I'm right in the middle of her story experiencing things with her characters. How does she do that? Really, that is the mark of such a great writer! She makes it tantalizing and sinister. You can feel the madness of it pulsing off the page. And why does Alyssa feel the pull towards Wonderland again? What is awaiting her there? Why is she tied to it and all it's magical wonder? I was totally enthralled with this one chapter reminding me of why I love this series so much. And the cover, well, I have total cover love for this book. So much so I made a countdown widget for my blog (www.thecovercontessa.com, see right side bar). 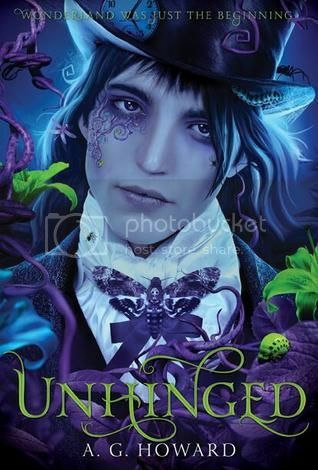 So, if I was excited for Unhinged before, well, this made me even more excited. I really hope I can get an ARC of this amazing book. I will drop everything I am doing to read it immediately, for sure. Have you not started this series? Well what are you waiting for? RUN OUT AND GET IT NOW! A.G. Howard is most at home when weaving the melancholy and macabre into settings and scenes, twisting the expected into the unexpected. 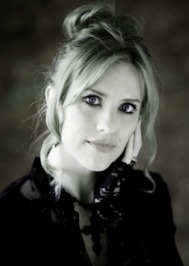 She was inspired to write SPLINTERED while working at a school library. She always wondered what would’ve happened had the subtle creepiness of Alice’s Adventures in Wonderland taken center stage, and she hopes her darker and funkier tribute to Carroll will inspire readers to seek out the stories that won her heart as a child. A.G.’s pastimes are reading, rollerblading, gardening, and family vacations which often include impromptu side trips to 18th century graveyards or condemned schoolhouses to appease her overactive muse. It was brilliant! I can't wait. She is so very awesome! I read this sampler too, and I am now officially DYING for the release. I know, right? That Howard is such a tease!